We can provide toilet attendants to maintain the loo’s cleanliness and supplies during any event big or small. Our attendants are hard working and friendly, helping make the experience of waiting for and using a public toilet as positive as possible. Our attendants regularly get wonderful feedback from the patrons including with comments such as ‘Wev’e never seen such clean toilets at a festival!’ It’s praise they work hard for, and hear often. Your suburb not listed? Give us a call, we deliver to other areas by arraingement! Many event toilets run out of water when you have a large attendence. If you think that many people will be coming to your event, extend the availability of your hired toilets by providing Rent A Loo with tap access. If our portable toilet locations have access to fresh water, toilet tanks can be ‘topped up’ throughout an event to more than double the capacity of people flushing. Any family event with children or adult events where alcohol is served benefits. Cater for your disabled attendees by providing disabled access toilets. Having these in convienient easy to reach points in your event will help those with physical challenges know that they can still come to your event and enjoy it. 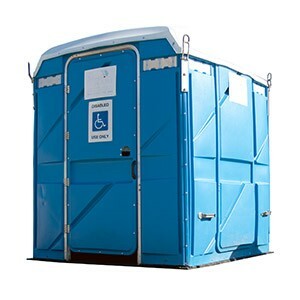 Rent A Loo offers a range of hire items that can help reduce queing issues with your portable toilets. Providing urinals and handwashing stations increases the capacity and speeds turn over at your loo’s, because nobody likes waiting!